Atlanta resident Dr. Warren Woodruff has inked a multi-level development/production deal for his Dr. Fuddle LLC's project, Dr. Fuddle and the Gold Baton, with film producer/literary manager Dr. Ken Atchity. Woodruff is a long-time music instructor whose passion for classical music led to the conception of the story, which follows the adventures of five youths led by the mystical Dr. Fuddle into the land of Orphea to retrieve the Gold Baton from the dark musician Jedermann using it for cacophony and chaos, and restore its rightful function of bringing harmony to the universe. The franchise will include a series of novels, picture books, live action films, an interactive website, music, an educational TV series, and a line of elementary books, merchandising, toys with unique patented scientific technology "making sound visible," in addition to the book itself. In cooperation with Atchity Productions in Los Angeles, Dr. Fuddle will soon go before the cameras as a major live action/CGI motion picture in the tradition of The Chronicles of Narnia and Oz the Great and Powerful, based on Dr. Woodruff's screenplay Dr. Fuddle and the Gold Baton. Atchity Production films include Joe Somebody, Life or Something Like It, The Kennedy Detail, The Lost Valentine and Hysteria, with others in development. Dr. Woodruff's first novel is available as an e-book and paperback at Amazon.com and in hard and soft copies through www.drfuddle.com. A consortium of Atlanta financiers provided the initial seed money, and have hired a renowned international film financing broker to close the financing for the first major motion picture. The project was brought to Atchity by Atlanta's Mardeene Mitchell, who has worked with Woodruff on the original development of the project. She introduced them at her Write the World in Atlanta conference in June of 2010. 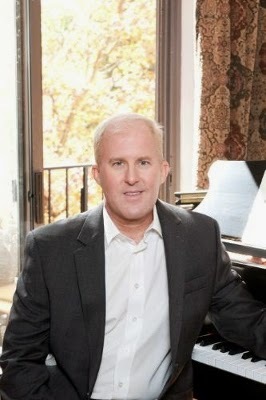 "My goal is to inspire a new generation to the wonders of classical music through an exciting fantasy adventure ALL young people can relate to," says Woodruff, who received his Ph.D. in Musicology/Piano from the University of Miami School of Music. "The story has elements of The Wizard of Oz," Atchity states, "Harry Potter and C.S. Lewis' Narnia. But its foundation in the myth and history of music makes it truly original and inspiring."